Since I missed a post for Reconstruction Era last Friday, I owe you an extra one today! How do I wrap-up this month of studies and questions? I think I’ll leave you with a primary source, a few facts, and some questions. I’ve shared earlier that you’re on the journey with me, studying the Reconstruction Era and it’s been a wild ride looking for the facts and encountering questions and dilemmas that still haunt us in the modern era. New Orleans, La, November 29, 1867. In war it is indispensable to repel force by force, and overthrow and destroy opposition to lawful authority. But when insurrectionary force has been overthrown and peace established, and the civil authorities are ready and willing to perform their duties, the military power should cease to lead, and the civil administration resume its natural and rightful dominion. Solemnly impressed with these views, the General announces that the great principles of American liberty are still the lawful inheritance of this people, and ever should be. The right of trial by jury, the habeas corpus, the liberty of the press, the freedom of speech, the natural rights of persons, and the rights of property must be preserved. Free institutions, while they are essential to prosperity and happious of the people, always furnish the strongest inducements to peace and order. Crimes and offenses commited in this district must be referred to the consideration and judgement of the regular civil tribunals, and those tribunals will be supported in their lawful jurisdiction. Should there be violation of existing laws which are not inquired into by the civil magistrates, or should failures in the administration of justice by the courts be complained of, the cases will be reported to these headquarters, when such orders will be made as may be deemed necessary. While the General thus indicates his purpose to respect the liberties of the people, he wishes all to understand that armed insurrection or forcible resistance to the law will be instantly suppressed by arms. 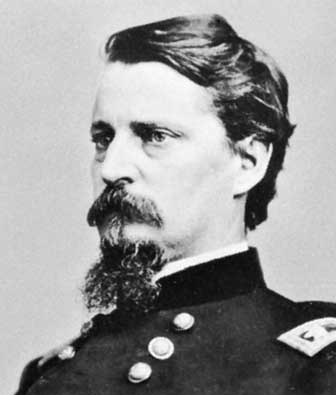 General Winfield S. Hancock had commanded the Union Army of the Potomac’s II Corps during the Civil War. He’s spent his entire adult life as a soldier, serving in the Mexican War, frontier forts, and the eastern theater of the Civil War. Politically, Hancock was a Democrat. 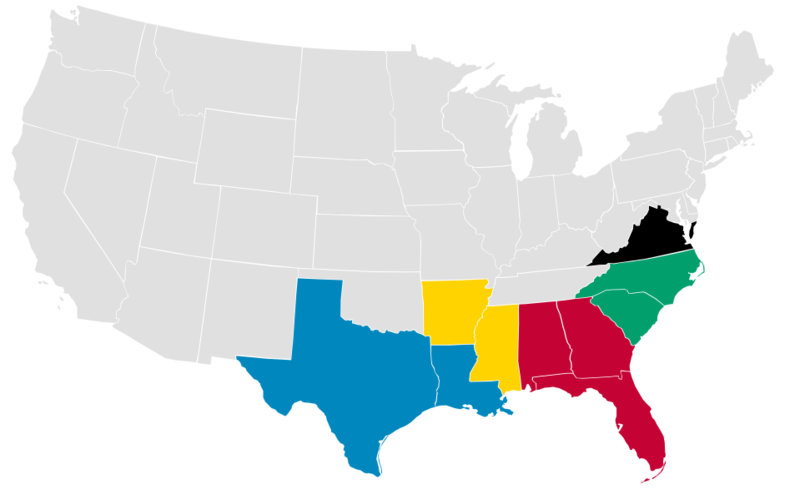 During the Reconstruction Era, he tended to side with President Johnson, feeling that the states should be allowed back into the union as soon as possible and with a little federal government interference as possible. Hancock’s appointment followed the removal of General Philip Sheridan from the 5th District; Sheridan’s “rule” had been harsh and caused a lot of tension politically and regionally. In theory, at the drawing board, and from his perspective and limited knowledge of the situation in the deep South, Hancock’s idea outlined in General Orders No. 40 might have worked. He insisted that laws had to be followed, order must be maintained, and crime dealt with in normal civic processes; if the civilian local governments could follow the laws, he was willing to keep the military role in the district limited. This followed his ideals of military power and roles in a free society. In a perfect world, this would have eliminate some of the bitterness against the occupying federal troops and allowed the civilian governments to function again, under the watchful eye of the general. But sometimes our theories don’t work out. Sometimes, they’re doomed from the start. Sometimes, situations change. White southerners welcomed Hancock’s order. Congress got angry. And the feud began. It got worse when Hancock refused to use the military to overturn pro-Democrat election results which were called unfair and very well may have been obtained through unscrupulous means (denying votes). Ultimately, Hancock was removed and sent elsewhere. In reality – as noble as Hancock’s idea was – it was going to have problems from the start. Racism ran deep in the military district and letting local government run itself opened the door for elected officials who didn’t always know what they were doing or officials with a racist agenda, leading to unfair elections, unscrupulous juries, and limited prosecution for crimes committed by whites. Sometimes, when I’m reading about the Reconstruction Era, I think “how did they imagine that was going to work?” Looking back, we get the “big picture” from the safety of our work desks and see how it all turned out. Thinking about Winfield S. Hancock and his controversial Order No. 40, I can’t help trying to figure out how that was actually going to work in that political and social climate. Yet, at the same time, I’m trying to see it from his perspective. We know he was a man of principle who took duty and protection of law seriously. Having just fought a bloody war, he was likely anxious to end the troubles, restore unity, and promote reconciliation. Logically, from his perspective, limiting military authority if the civilians followed the rules seemed plausible. Quite possibly, he didn’t understand some of the underlying tensions in the South or thought they would be resolved on the civilian side, without military interference. From his perspective and understanding, he was following his ideas of strict interpretation of the Constitution, military power, and how it applied to Reconstruction while trying to do his best to bring peace. Can we fault him for his intentions? For trying – with the knowledge he had at that time – to bring reconciliation?